VIP status provides a range of valuable bonuses. 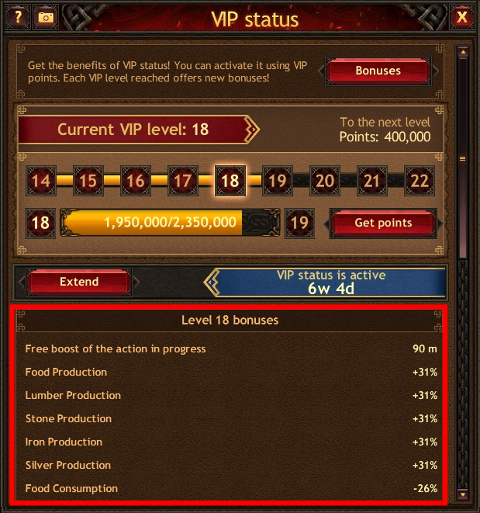 The number and significance of these bonuses increase with each VIP level. 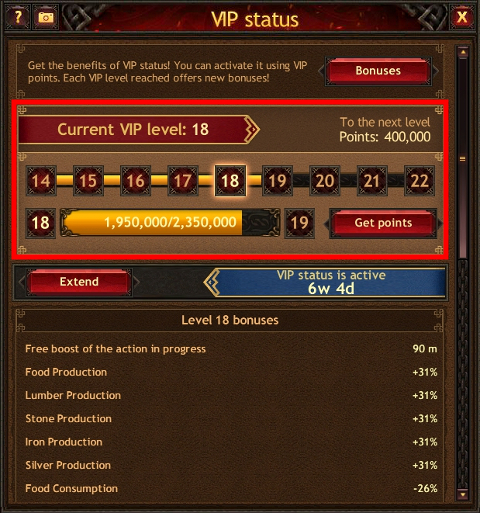 To activate VIP status or reach the next level, you must have a certain number of VIP points, which can be purchased for Gold or received as a reward for performing certain in-game actions. 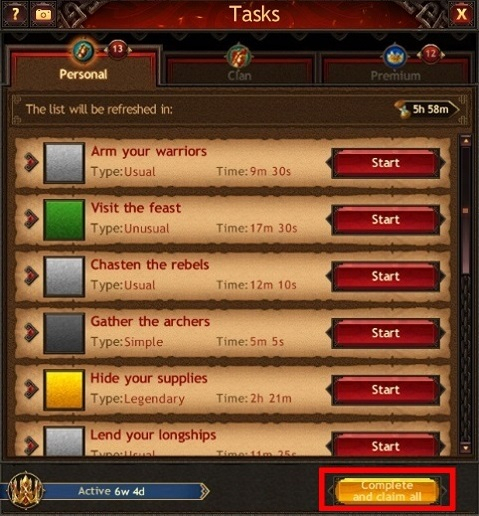 Please note autocompletion of Personal, Clan, and Premium Tasks. This bonus saves you time by allowing you to instantly complete Tasks and get rewards. 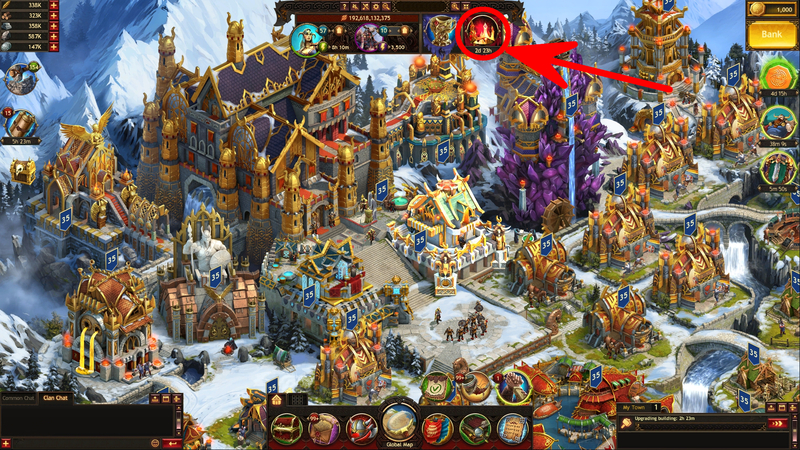 There are improved bonuses from VIP level 17: you can claim all the rewards of the selected Task type by clicking the "Claim all" button.